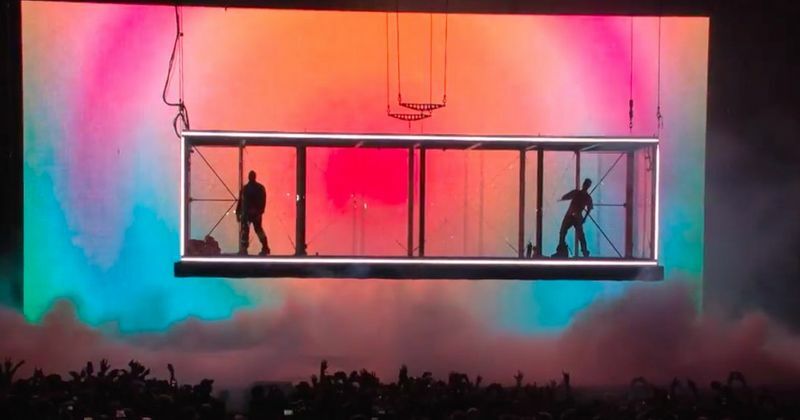 Kanye West and Kid Cudi made their Kids See Ghosts debut on Sunday night (Nov. 11) as the duo closed out Tyler. The Creator’s Camp Flog Gnaw music festival in Los Angeles. In the crowd were none other than the Kardashian-Jenner clan, and West’s wife Kim along with her sisters documented all the fun from the set. Their Snapchat and Instagram stories included the girls singing and dancing to various songs, as well as clips of Ye performing inside a steel box hanging above the festival stage. 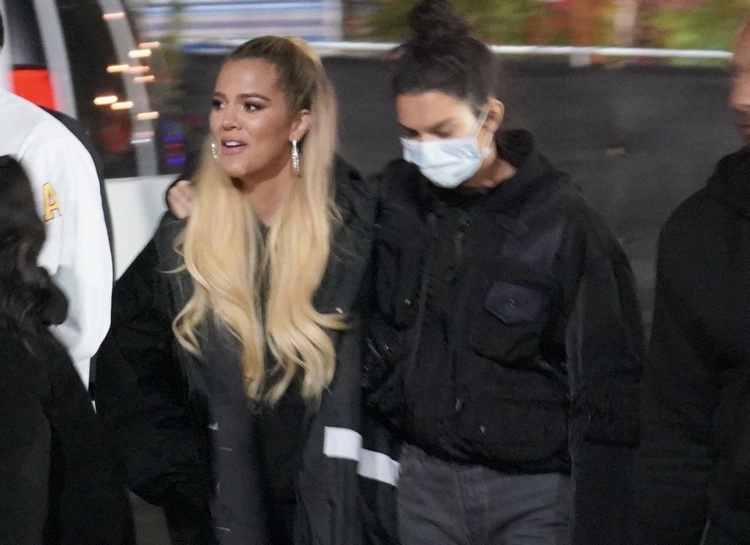 Social posts showed Khloe and Kourtney holding each other while jumping up and down laughing and singing, Kim bopping her head to her beau’s beat and Kendall dancing along while wearing a mask. The group also filmed a video showing them enthusiastically singing along together. The girls went to the event after accepting the award for Reality Show of 2018 at the 2018 People’s Choice Awards.